Joanna graduated from the Warsaw School of Economics, where she completed Master studies in Finance & Banking in 2012. 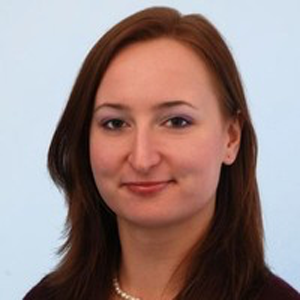 She took part in the American Institute on Political and Economic Systems in Prague (2010) as well as the Institute on Business and Government Affairs at Georgetown University in Washington, DC (2011). Joanna was awarded a Rowny-Paderewski Scholarship award in 2011. She was an intern at the Economic Council for the Chairman of the Council of Ministers of Poland in Warsaw. She is working for the Manufacturers Alliance/MAPI in DC and for several consulting companies. She plans to start her career as a regulatory affairs analyst in an international team created within the biggest investment bank in Europe. She will graduate from the law school at the University of Warsaw soon. Her hobbies include subjects related to the stock exchange, project management and mathematical logic.